First, we must open up the Nex-Tech Classifieds App. If you do not have the app on your iOS device, you can download it from the App Store. 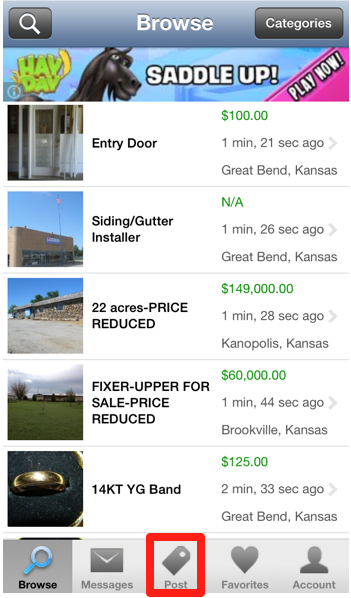 Once the app is open, click on Post to create a listing. From here, fill out all related information for the listing. If you would like to add photos, click on Photos. 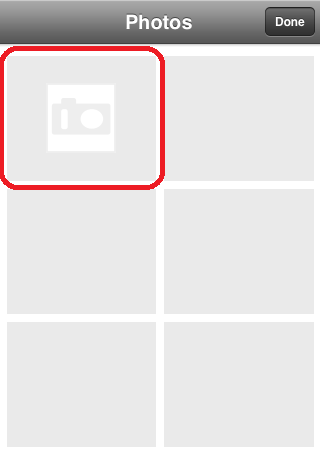 The number in the field tells you how many photos are currently selected to be uploaded with the listing. This screen will show you all of the pictures that are currently on the listing. 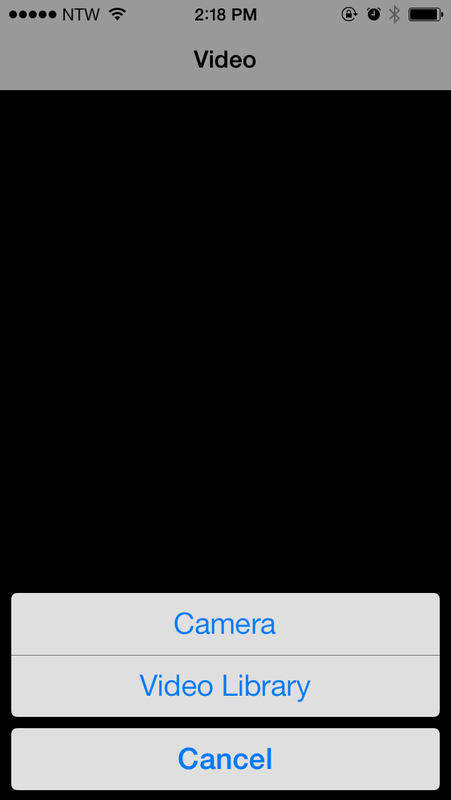 Right now, we have none, so click on the image with the camera on it to upload a picture. From here, we can choose to use the Camera to take a picture, or we can use the Photo Library to select a photo that has already been taken and saved on the device. 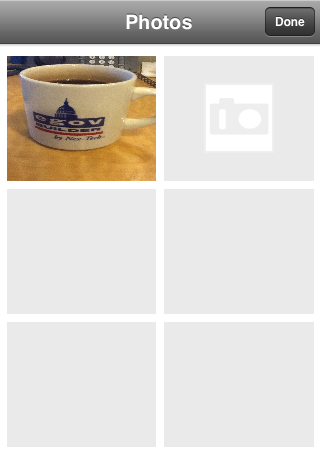 Once you have a photo selected, it will now show up on the photos screen. If you made a mistake and would like to remove the photo, simply touch the photo and you will be given an option to remove it. 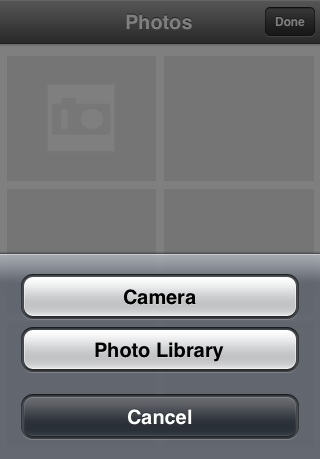 Once you have added your photos, click Done at the top right. If you would like to add a video, click on Video. From here, we can choose to use the Camera to take a video, or we can use the Video Library to select a video that has already been taken and saved on the device. Once you have loaded the video, "Change Video" will now show up next to the Video. 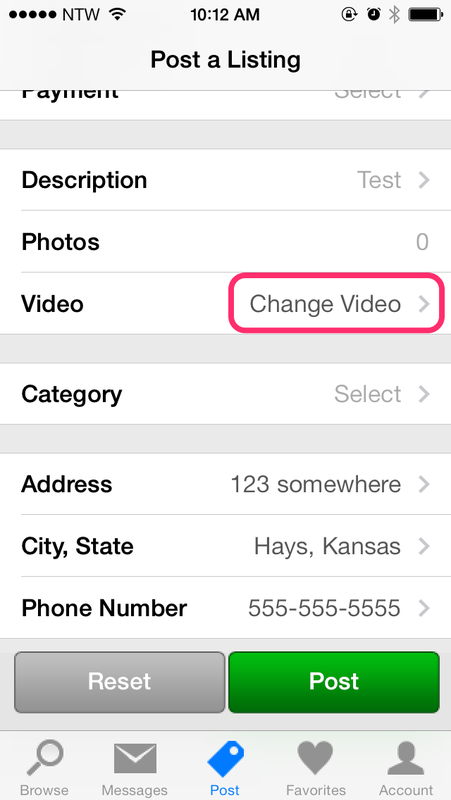 If you made a mistake and would like to remove the video, simply click the "Change Video" and you will be given an option to choose to use the Camera or to use the Video Library to select a new video. Follow the steps to load your video. Once all of the information for the listing has been added in, press Post at the bottom of the app and your listing will be uploaded!